Here is a preview of the 2014 American Public Works Association Congress that takes place Aug. 17-20 at the Metro Toronto Convention Centre in Toronto. 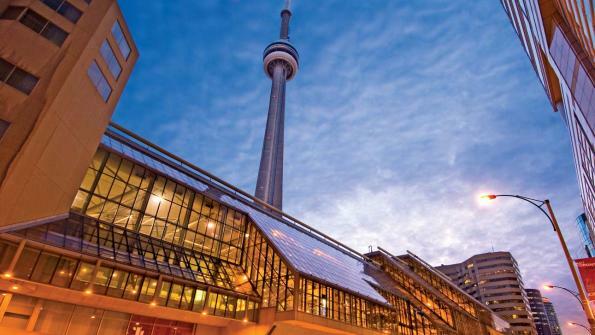 The 2014 American Public Works Association Congress takes place Aug. 17-20 at the Metro Toronto Convention Centre in Toronto. This year features more than 125 technical and professional development sessions as well as education opportunities to earn continuing education units and professional development hours. The show is suited for anyone with public works-related responsibilities. Attendees will include public works directors, city and county engineers, solid waste managers and coordinators, public fleet professionals and managers of public facilities and grounds. Administrators who specialize in water services, operations, emergency management and city planning or sustainability will gain knowledge by attending the show. Areas covered at the Congress will encompass career and personal development, construction management, emergency management, engineering and technology, environment/sustainability, facilities, fleet services and fleet management. Other subjects on the show agenda will include parks and grounds maintenance, snow and ice control, solid waste stormwater/flood control, streets/roads/bridges, traffic engineering, utilities/right-of-way and water and wastewater. The 2014 Congress provides numerous avenues for education. The Public Works Stormwater Summit takes place Aug. 18-19 and covers stormwater resiliency for public works and sustainable stormwater management. Case studies and presentations will offer practical tools and approaches for stormwater professionals. The sessions will address planning and management for a variety of infrastructure systems. Two roundtables will take place at the Congress. One is for public works directors. The other is called “Envision.” Both will give participants the chance to explore and collaborate with other experts in their profession. The roundtable for public works directors tackles issues and challenges with a conversation of shared insights, innovations and solutions. The “Envision” roundtable is the product of a joint collaboration between the Zofnass Program for Sustainable Infrastructure at the Harvard University Graduate School of Design and the Institute for Sustainable Infrastructure (ISI). “Envision” was designed to fill a gap and specifically focus on the sustainability of civil infrastructure. The roundtable will cover roads, bridges, pipelines, airports, dams, levees, landfills, water and wastewater treatment systems and other infrastructure that makes up the built environment. The products exposition at the 2014 Congress facilitates learning, discovery and fun. More than 400 exhibitors will be displaying their wares. The expo will have live interviews with session speakers and 15-minute power learning sessions. Prize drawings, networking areas, cyber stations and a happy hour are what attendees will find in the exposition area at the 2014 Congress. The Technology Pavilion delivers information about the newest public works technologies and encourages participation in “There’s an App for That” demos and clinics. Exhibitors will demonstrate their products and apps in 50-minute demo sessions around the floor. The Sustainability Pavilion gives attendees access to sustainability exhibits, while the New Product Showcase booth features dozens of new items to experience hands-on. Jennifer Keesmaat (photo at right), Chief Planner for the city of Toronto will speak at the Sunday general session. Urban planner Keesmaat is committed to creating places where people flourish, and emphasizes collaborations across sectors. She works to engage with municipal staff, councils, developers, business leaders, NGOs and neighborhood associations. She has held her current post since Sept. 2012, and has worked on development of site plans, urban design guidelines, official plan reviews, corridor studies and culture plans. Chris Hadfield, former commander of the International Space Station and a professor at the University of Waterloo, will speak at the Monday general session. Hadfield is a decorated astronaut, engineer and pilot. He is the author of “An Astronaut’s Guide to Life on Earth.” Hadfield is the recipient of the Order of Ontario, the Meritorious Service Cross and the NASA Exceptional Service Medal. Ian Hill (photo at left) will speak at the Tuesday general session. He is a public sector advocate and leadership development innovator. Hill’s various leadership programs have served over 150 public works departments in the U.S. In Canada, he helped spearhead about 250 grassroots community projects. His message will detail his leadership approach, which takes into consideration the user-driven society we operate in today. The presenter at the Wednesday general session is Alex Steffen. He is a planetary futurist and an author. Steffen is known for helping audiences understand the role of world-changing ideas and trends in their lives and work. He is the author of “Worldchanging: A User’s Guide to the 21st Century” and “Carbon Zero: Imagining Cities That Can Save the Planet.” He has served as adviser to more than 100 NGOs and businesses, and currently holds the position of Planetary Futurist in Residence at IDEO, a global design firm. Go here to register for the 2014 APWA Congress. Here is a brief video preview of Toronto, Canada, home of the 2014 APWA Congress.